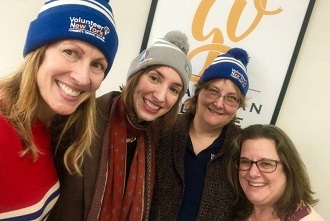 Dec. 5, 2018: Gramatan Village, a nonprofit organization that supports vibrant and empowered aging, participated in Giving Tuesday on November 27, 2018, by collaborating with Volunteer New York! 's #Bridge2Give Giving Tuesday campaign. On Giving Tuesday, people worldwide supported nonprofits by donating their time and resources. Gramatan Village recognizes and honors the critical work volunteers accomplish every day and operates with a team of caring volunteers who make our community brighter with their generosity and warmth. Pictured here (L to R): Kathryn Urbina, Gramatan Village director of member services and programs; Sherry Saturno, Gramatan Village executive director; Patti Colombo, Volunteer New York! 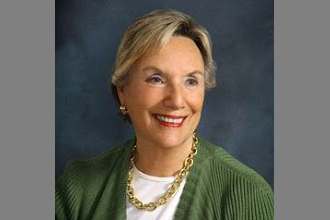 manager of RISE Program; and Wendy Armstrong, Volunteer New York!